Again I am posting a precious post regarding Facebook status update. Have you ever posted your status in any Facebook group via email? or even thought of it?. As far as I know, your answer would be no. Today, I am going to share my own expierence in posting my own status at Facebook Group using my Email ID. It's an awesome trick which can be used to update your status at any group if you are too lazy to go their and post at the group or else. You can shock your friends too with this. Some days before, I used to post my same status to many Facebook group, this was very tiresome and irritating. I thought that if there would be anymeans by which I could post my status to all these group at once. After a few days, I than came to know that I was right, there is a way to do so. The way is very simple and easy and very effective too. First of all, open your Facebook account and visit the particular group to which you will be posting your status, at the top of the group page, below the Group's title, you will find the Email Address of the group, just copy it and paste it somewhere ( likely in Notepad ). The Facebook group Email ID would be like for illustration, abc@groups.facebook.com. Then, open your account, I mean your Email Account by which you have made your Facebook account and through which you used to Login to Facebook. After opening, compose a new mail, in the recipient's address paste the Group's Email ID which you have copied earlier from the Facebook Group ( say abc@groups.facebook.com). Write your status in the body section of the mail which would be posted on the group. There is no need of writing 'Subject' of the mail. 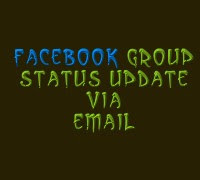 Hurray, you have just updated your group status via email, if you want to get satisfaction with the trick just open your Facebook account, move towards that group and see your status. And like me if you want to post your status to many groups, collect the Email ID of all the group, and send a group message containing your status to all the groups using your email at once. Do You Like This Post..? 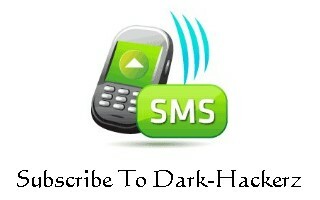 Keep Yourself Updated By Getting Our Free Email Updates, Subscribe US!!! "have something to ask? post it here "
This message was created automatically by Facebook. A message that you sent to azanegypt@groups.facebook.com could not be delivered. We're working hard to get this problem fixed. Sorry for the inconvenience. Happy New Year! Has this facility been disabled by Facebook? We were using it but it has stopped working. Please do not use any information provided here for illegal purposes.